Tape becomes as versatile as disk with drag and drop, low cost archive, non-proprietary portable format, ease of use, many solutions including online tape NAS. IBM’s enterprise drive offers 10TB native capacity and 360MB/sec throughput – A true enterprise class drive with major TCO advantages. 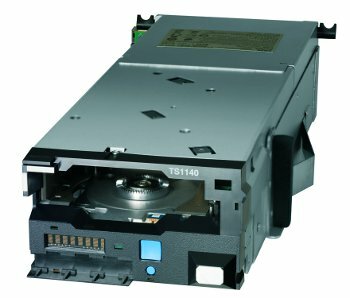 When providing manual load IBM Magstar 3592 drives TS1120, TS1130, TS1140 &TS1150, Eurotech have created a Rackmount which we believe is a perfect fit and it’s free with all TS1140 drive orders! To find out more please download our datasheet. 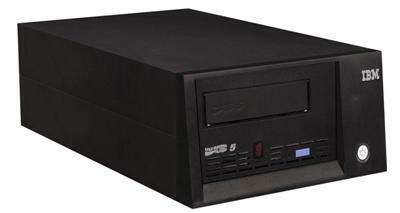 magnitude more reliable than SATA disk drive. A massive consideration has to be green initiatives, the costs for running tape are significantly lower than disk, even with an active online tape infrastructure. WORM and encryption fully covers todays compliancy issues when needed. This should have been first! We can clearly demonstrate the major cost savings achieved upon using current tape solutions. In addition your data is more secure than you may realise, the BER (Bit Error Rate) for LTO5 is 1 sector per 1x10E17, TS1140 1x10E19 versus FC/SAS disk of 1x10E16. Tape media can be stored for many years, which is a primary contributor towards tape being so favourable. The enterprise tape format and library roadmap is stable with many generations to come. The features cover a wide range of traditional and future markets. These include media, banking, oil & gas, cloud, web, research, education, etc. For more information, please download this as a datasheet. If you have any questions, please don’t hesitate to contact Eurotech.